HawkEye AP - Symtrex Inc.
We have witnessed an increase over the last couple of years of sophisticated attacks, leading to a requirement to collect enormous amounts of data, or big data. Large enterprises and government organizations are looking for solutions with advanced data analysis capabilities to address new found needs of collecting, storing, and analyzing Big Data. 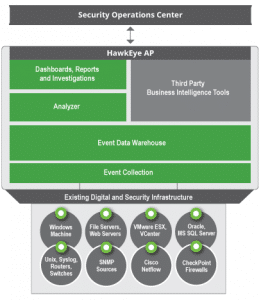 The HawkEye AP from Hexis Cyber Solutions, delivers an unparalleled solution with the industry’s most unique approach to analytics and intelligence – a flexible event data collection process, a clustered, columnar-based event data warehouse and advanced dataflow modeling. Using a web-based GUI infrastructure for centralized configuration, monitoring and management simplifies installation and administration. Massive-Scale Data Warehousing : purposed-built columnar data warehouse with optimized retrieval and patented compression technologies. The result? 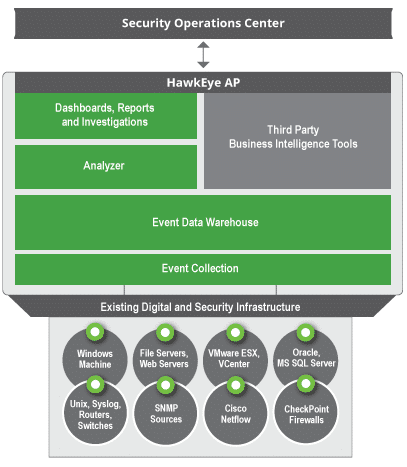 No other solution lets you collect, store and analyze mass quantities of event data as efficiently and easily as HawkEye AP. And that’s critical to overcome today’s security, compliance and risk mitigation challenges. Download one of the following, or contact us for more information.